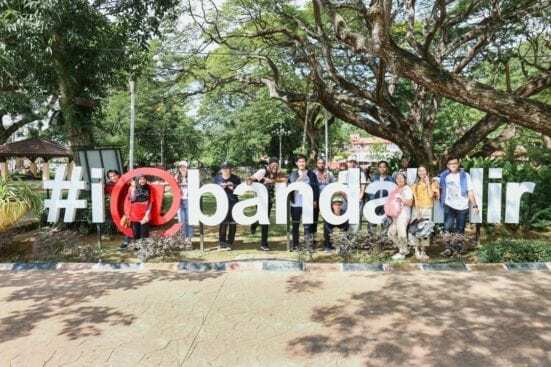 This was the first Culture Corner for the semester that gave students the opportunity to experience Malaysia outside Johor and the campus grounds. Culture Corner 18.0 with the theme ‘Trip to Malacca’ aimed to inculcate new and interesting Malaysian culture and knowledge to the students. The trip started off in the morning by heading to Mini Malaysia Malacca and ASEAN Cultural Park. 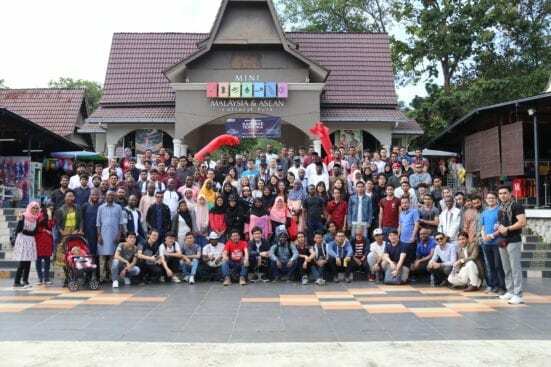 The students were allowed to freely stroll around the cultural park that showcased replicas of the 13 traditional Malaysian and ASEAN homes. A traditional dance performance courtesy of the Mini Malaysia Malacca and ASEAN Cultural Park was also presented to the students to showcase the cultural diversity in Malaysia. After an eventful morning at Mini Malaysia and after Friday prayer, the students were dropped off opposite to The Taming Sari Tower and they were given some refreshments such as the Malacca famous Coconut Shake as well as the renowned ‘Kuih Keria Antarabangsa’ before they headed off to explore the city of Malacca independently. Students were allowed to roam the city for a good 7 hours! Famous historical sights and museums such as the A’Famosa Fort, Maritime Museum, the Stadthuys were among some of the famous places they visited in Malacca. As the day turned dark, it was an opportunity to enjoy the bustling environment of Jonker Street that was no short of excitement and constantly selling various types of goods such as souvenirs, clothes, bags, shoes and of course, FOOD! A large variety of affordable local delicacies can be found at Jonker Street to suite ones taste and preference. Some food can only be found in Malacca and not anywhere else in Malaysia. After a long day of enjoying oneself with friends and acquiring new knowledge, it was time to say goodbye to the Historical City of Malacca. We sincerely hope that the students will be able to remember the bonds formed and the experiences gained throughout this event and will keep on cherishing the memories that they have created with one another. It is our hope that the friendships, networks and bonds built throughout Culture Corner will persistently last. It is also our heartfelt expectation that the students have gained immensely during the interactions and sharing. Stay tuned to our Facebook Page (UTM International Student Experience) for more engaging, captivating and educative activities inside and outside of UTM. Keep following our Facebook Page (UTM International Student Experience) for more interactive and interesting students activities in UTM.